PNG Carrier accommodation, meals, gear & repatriation flights home. *Accommodation Single Supplement A$195.00 per night. The Kokoda Trail is our most famous trek here in Papua New Guinea. It is steeped in WWII history and is an emotional and physically challenging walk. We have spent many hours on the track opening up new areas for trekkers to visit pertaining to the Kokoda campaign. Our bond with the Koiari people along the track is strong. Our sustainable development projects in the villages are ongoing and are now bringing in an income for the villagers. The long days include river crossings, steep and gradual ascends and descends. The 96 kilometre trek is predominately through rain forest. Usually conditions are wet and slippery as rain can be expected on most days. Temperatures range from 24-30 degrees celcius during the day and 16-24 degrees celcius at night. This track was made famous during WWII and still bares the scars of a fierce campaign. For those of you who had loved ones fighting in PNG during WWll, this walk can be a very spiritual and emotional experience. Trekking in mud up to your knees and tricky river crossings indicates exactly the conditions under which our diggers fought. Our guides are extremely knowledgeable about the WWII history across the track. They have all spent time exploring battlefields and found interesting side trips for our trekkers to see ammunition pits, war artifacts and areas where the Japanese and Australians dug in to fight. Trekkers need not have an Australian connection with the track. It is the most beautiful walk, the scenery is stunning, we get to camp out and integrate with our PNG crew working for us. There is a lot of singing and telling of stories around camp fires in the evenings. When we stay in villages your guide will take you for a walk around the village so you get to meet all our friends. They will talk to you about the PNG culture and maybe organize a village sing a long that evening.The local people who live along the track are Koiaris. They are warm, friendly and generous people who welcome trekkers onto their land.This is a complete learning experience. You learn about the WWII History, the culture, the people, the flora and fauna and will walk away from our country a better person for having this experience. Although ideally suited to walkers who are of reasonable fitness, training for this trek is necessary. Please try and be as fit as you possibly can. It is one of the toughest treks in the world. Remember the fitter you are the more enjoyable the trek will be. The best time to do the track is between the end of April and the beginning of November. Please make sure that all your gear is packed in dry sacks, zip lock bags. We cannot express how important this is. This does not mean that everything is dumped into a large garbage bag. Ensure all your gear is sectioned as per below. Extra gear can be left at the hotel in a locked bag. •	One 85-90 litre back pack with pack cover-must be this size-Personal Porter carries this, anything smaller will not accommodate your Personal Porters gear which he has to pack in the as well. You can hire a pack off PNG Trekking Adventures for $10 per day. • Camera, diary, book maybe. •	Towel-Bring a decent sized towel, must be quick dry. •	Thermarest exped 7 w/ downe, is my favourite. Must be compact. You do not want a massive bulky sleeping mat taking up all the room in your large pack. •	One light sleeping bag - Must be in compression sack. You do not want a massive bulky sleeping bag taking up all the room in your large pack. You will find our food packs are great. There is plenty of food, fresh vege's & fruit. Only bring extra food if there are special dietary requirements. Dietary requirements please discuss with us. •	Antihistamine (such as Benadryl)-useful as a decongestant for colds, allergies, or ease the itch from insect bites or stings. •	Calamine lotion – to ease irritation from bites or stings. Please consult Dr for vaccinations required. Bomana War Cemetery. Service held here. 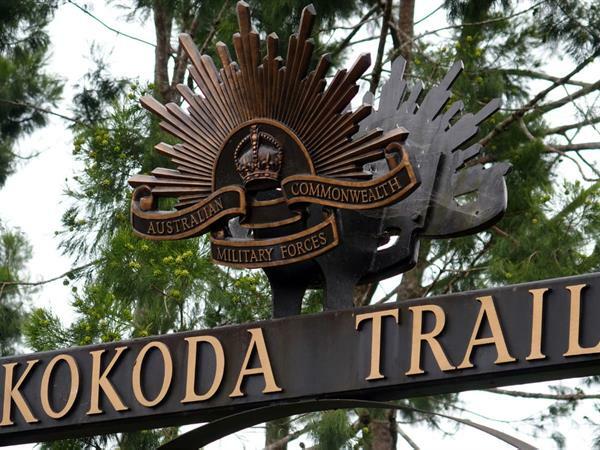 16/04/20 - 26/04/20	ANZAC Trek-Group bookings only. Note: Above dates are flexible. We will try to accommodation dates to suit trekkers.